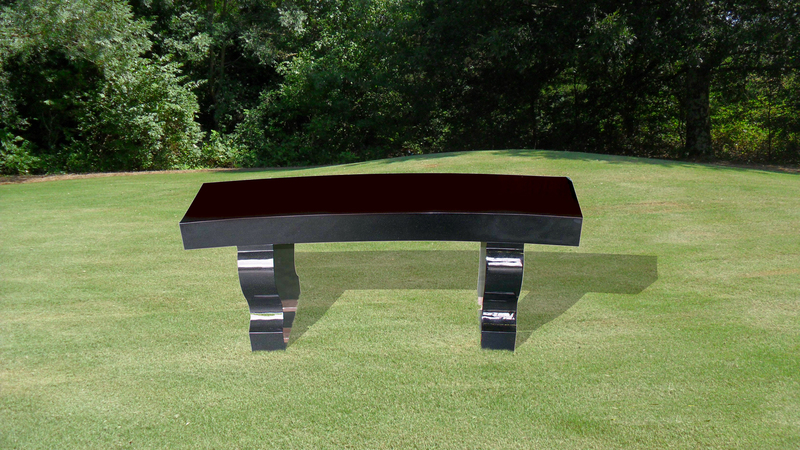 48" long x 16" wide x 4"high. Bench with 48” long curved seat on two harp-shaped legs. Legs are secured with dowel pins to the bottom of the seat. 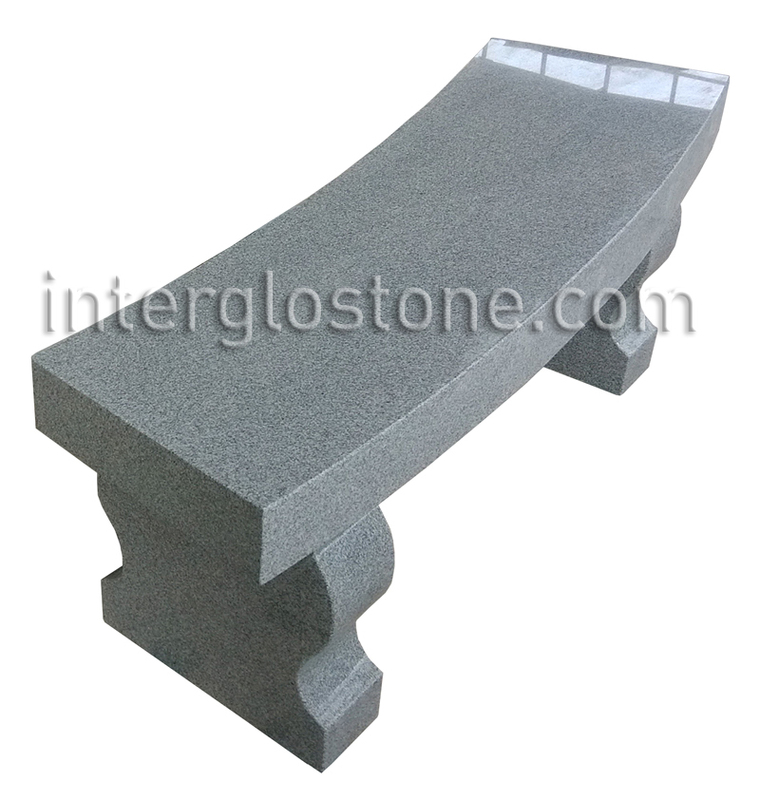 All granite construction with polished exterior finish. Shipped in three pieces for final on-site assembly.